Eric joined our team in 2014. As a Paraplanning Assistant he assists Scott and the advisors with insurance and estate plans, as well as investment and planning support. 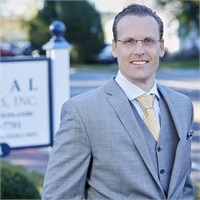 Before joining us he worked for InspiraHealth Network as a Financial Analyst in Bridgeton, New Jersey after earning his BS in Finance from Drexel University. He enjoys serving at his church, spending time with his family and watching sports.